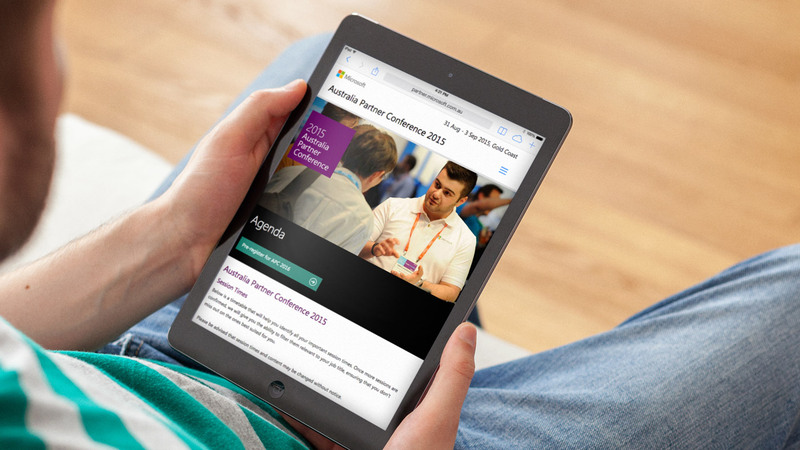 Microsoft Australia Partner Conference (APC) was originally designed for IT and sales professionals and their technical/sales issues. 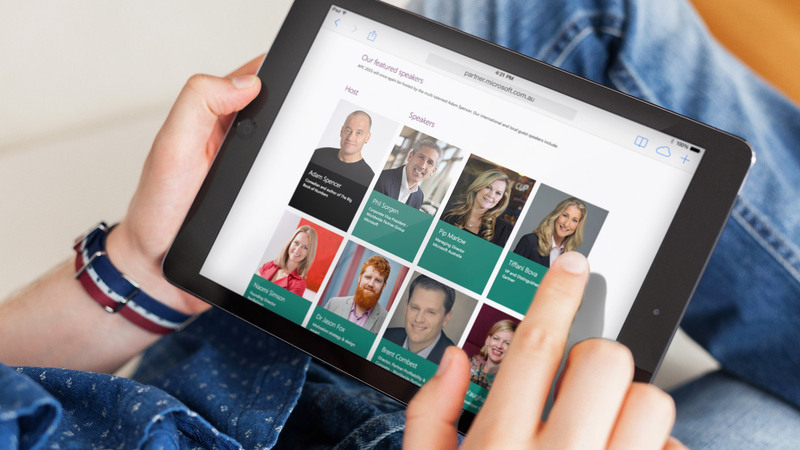 It now provides tailored content for a wider variety of businesses. The sessions included marketing, customer trends, customer stories and thought leadership on growing business. The challenge was to communicate that this event is now designed for all business people. 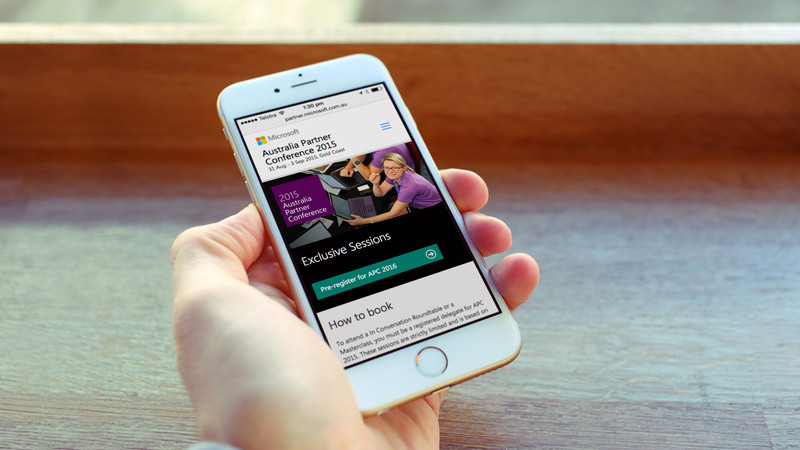 We devised a clear market segmentation strategy to raise awareness amongst business people and provide them quick access to information about sessions relevant to their area of business. 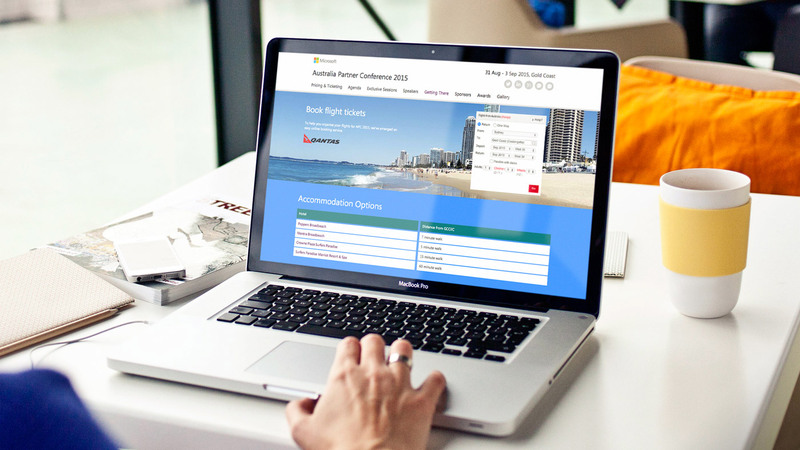 We developed a mix of communication methods and materials to drive demand for APC 2015 and create excitement. Marketo was leveraged to manage the website and the various communication streams for each partner type. 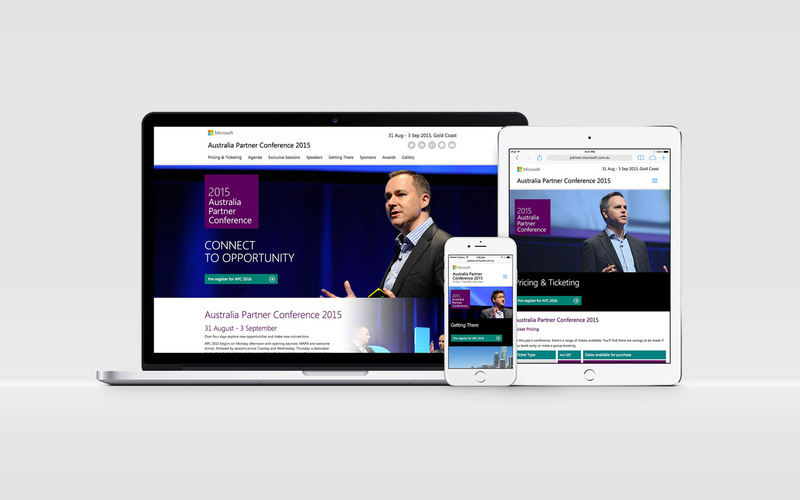 The event website and communications were centred on four tracks: customer trends, customer stories, business growth and marketing. On the site visitors could filter the sessions by their business segment, their role or one of the chosen tracks. Communication style and tone was tailored to each customer group. Media used included email, online and social communication on both paid and earned assets. A new theme “Connect to Opportunity” was developed to reflect the new changes to APC. The campaign ran successfully, and the feedback from the Microsoft team was extremely positive.